I finally got the itemized bill from the hospital. 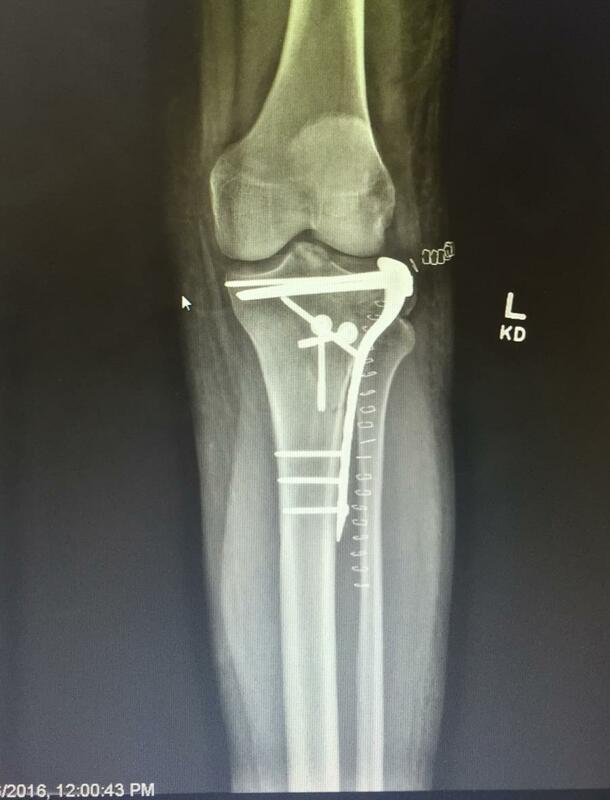 11 screws of 5 different sizes, a lot of wire, a customized metal support (the big thing on the side), and bone pieces from a dead guy to replace my bone pieces that were too small to put back together. Sorry to hear about your leg. Hopefully things heal quickly and you are back to diving ASAP. Take it easy in the meantime.